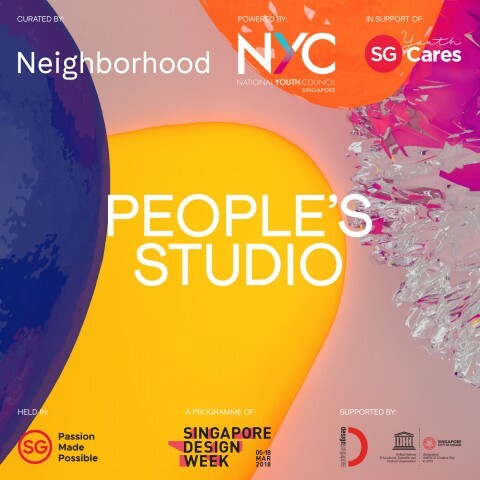 People’s Studio is a creative residency programme that invites emerging artists and designers to spend one month at a makeshift pop-up space in the heart of Yishun in Singapore. Creatives-in-residence contribute to a multidisciplinary hub by exhibiting and producing 2D and 3D work as well as facilitate participatory workshops. Based on the theme Future Living, they question existing boundaries of the local neighbourhood’s built environment and social dynamics. The key tenet of the programme’s collaborative atmosphere is the belief that youth-led community building can be achieved through socially engaged practice.